Sam Edwards & Jon Barber receiving the award at the PCA Annual Awards 2018. 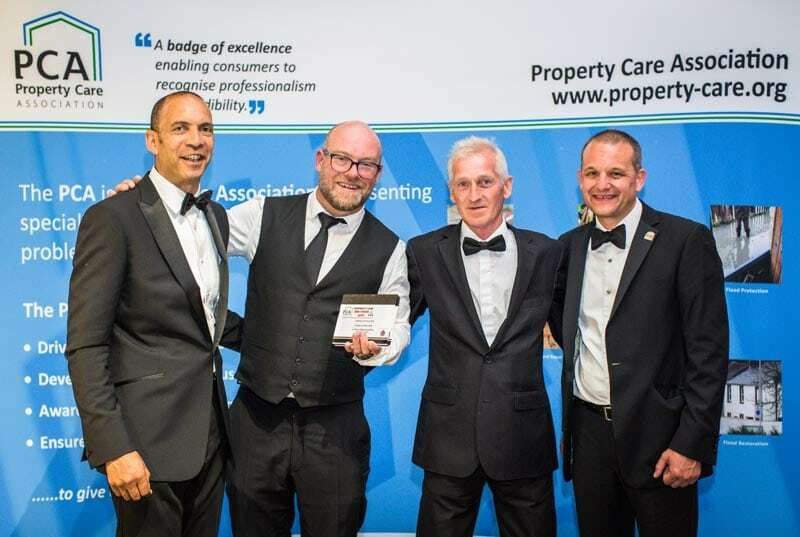 Having attended our first PCA awards in 2017 and won a commendation for outstanding customer service, we were keen to return in 2018 and see if we could do the same again. This year we entered a different category for Project of the Year. This category allows entrants to showcase a challenging project that has tested the expertise of all involved. For this entry we selected an overseas project, waterproofing the basement of the British Embassy in Algiers. 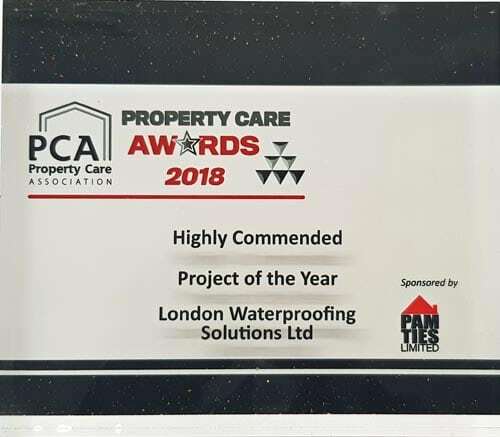 On the night it was announced that we had won the Highly Commended award for this project, due to the challenges faced with the project being overseas and lack of access to materials. The project had to be carefully co-ordinated with the team of builders onsite, materials suppliers and via video conferencing between our surveyor and our team on site. We were proud to win an award for the second year running, which was a testament to the difficult task carried out by Sam and Jon. You can read more about this project here.